Not only will the As Long As I’m Singing concert feature musical performances from Make-A-Wish Wish Kids, but earned proceeds from the event will also help to raise more funds for Make-A-Wish Connecticut. 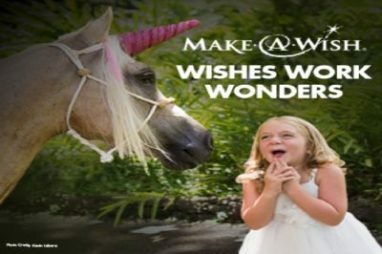 Make-A-Wish Connecticut grants nearly 200 wishes each year, but your help is needed in order to make this happen. Show your support by attending the As Long As I’m Singing concert this June! Concert tickets can be purchased online for $25 per adult ticket (plus tax) and $15 per child ticket (plus tax). Donations are also welcome. All earned proceeds from the event will benefit Make-A-Wish Connecticut! All ages are welcome so make it a fun day for the whole family. The As Long As I’m Singing Concert will be an inspirational event for the performers and for everyone who attends. Band members include Fritz Hansen, Joey D’Alessio, Chris Love, Bob Nolte, John Pearson, Robby Schwartz, and Zac Whitlock. Wish Kids include Alyssa Casson, Matthew Dominick, Jillian Duffy, Brian Jermainne, and Katherine Vandrilla. The concert will take place at the Infinity Hall in Hartford (32 Front Street). Enjoy lunch before the show at the Infinity Hall Bistro or stick around after the show for dinner. You’ll have the chance to meet the Wish Kids from the performance! If you can’t attend the As Long As I’m Singing Concert but would like to play a part in helping Make-A-Wish Connecticut to grant wishes for local children, consider donating a car to Wheels For Wishes, benefiting Make-A-Wish Connecticut. Your generous car donation will help to grant wishes for kids in your community who are battling critical illnesses. Plus, you will receive free pick up or towing of your vehicle, anywhere in Connecticut, whether you live in Hartford, New Haven, Stamford or Bridgeport.